Sarah and Andy are both experts in their fields: Sarah is an academic entomologist, ecologist and farmer. She is an authority in entomophagy, with a doctorate from the University Oxford (with which she won the international Wallace Award for the best doctorate on insects written in the English language). Sarah was named as an ‘emerging legend’ in the 2017 Wales – Year of Legends, is a Senior Research Associate at the University of Oxford and a Fellow of the Royal Entomological Society. Andy is an award-winning chef of 25 years with a passion for infusing food with intense flavour. He won the 2011 Good Food Guide ‘Best Family Restaurant’, the 2011 ‘True Taste Gold Award’ and the 2016 ‘Best Use of Pembrokeshire Produce Award’. He specialises in sustainable food and exploring foods of the future. Five years ago, Sarah and Andy bought back Sarah’s old family farm, Lower Harglodd, just a mile outside St Davids, the UK’s smallest city in wild and wonderful West Wales. 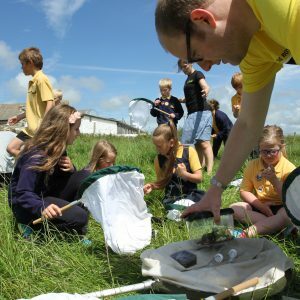 On the farm, they set up Dr Beynon’s Bug Farm (or ‘The Bug Farm’), a research centre, working farm and visitor attraction showcasing their passion for sustainable agriculture and delicious food. 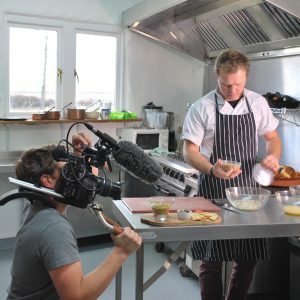 Sarah’s research inspired Andy to invent recipes using insects which evolved into dishes in Andy’s restaurant ‘Grub Kitchen’, the first full-time entomophagy restaurant in the UK, based on The Bug Farm. 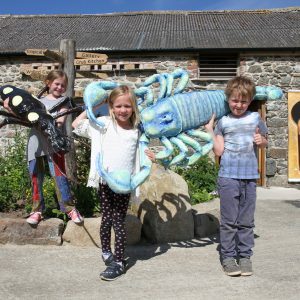 The Bug Farm has morphed into an award-winning attraction and academic centre of excellence, winning the Best Start-Up Business of the Year in 2016 and the Sustainable/CSR/Green Business of the Year in Wales in 2017. This journey has led them to develop Bug Farm Foods. 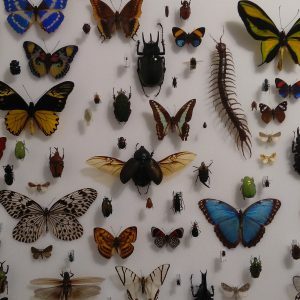 Together, Sarah and Andy bring you an exciting and delicious range of insect based foods and ingredients for you to experiment with and use to create your own insect-based meals. For inspiration, check out Andy’s recipes page with lots of hints and tips on how to cook with insects. 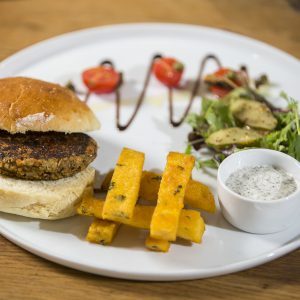 If you’d like to experience the food in Grub Kitchen, visit grubkitchen.co.uk while if you would like to visit The Bug Farm or just learn a bit more about insects and how they can help us become more sustainable, visit thebugfarm.co.uk.